Today’s matches saw a mix of the predictable and the unexpected – and plenty of smiles across Scandinavia at full time. There were wins for Norway, Sweden and Denmark – and the hosts got to join the party as well. The final standings in Group A may rest on how seriously Norway take their last game. They were off the boil today against Czech Republic, only hitting the front in the final few minutes having trailed throughout, and hanging on thanks to Katrine Haraldsen’s series of superb stops (including two from 7m) at the death. With a more predictable (although well-contested) win for Serbia in the earlier match it means that if Ukraine beat Norway, who have a beat of a reputation of not always being focused in the early rounds, they could qualify for the next stage ahead of the loser of Czech Republic v Serbia. Abacuses may be required but I’ll back the European, World and Olympic champions to render them unnecessary although a repeat performance by Czech goalkeeper Barbora Ranikova might cause the Serbs some nervous moments. Unless something bizarre happens then Group B is easier to call. Macedonia were off the pace again today and so Sweden were able to make it two wins from two. 8 goals from Linnea Torstensson and 7 via Isabelle Gulldén gave the Swedes a comfortable 26:15 victory. The other match was a bit of a shock with this ‘transition’ Denmark team doing the business against France. The French looked almost unwilling to shoot at the end, despite having pulled their keeper, and so the Danes emerged 28:27 winners. Although a last second shot from France hit the bar but that would have been unfair on the ladies in red. Denmark should beat Macedonia which will render the result of the final match between France and Sweden irrelevant in terms of qualification – although obviously both will want points. Permeatations (although please understand I may be wrong on all this) Hungary and Spain are through so the final qualifier will come from the Croatia v Germany match. Germany need to overturn a three-goal points difference in the table. Romania and Montenegro have qualified. If Iceland beat Russia they will progress; a draw or win will be fine for the Russians. If you’re a fan of Spain or Montenegro then day two of Euro 2012 was a very good day. Those two teams maintained their winning ways and will now be looking forward to the main round. However, if you’re a fan of Germany or Iceland then you might want to look away now as with two losses from two games their tournament may be over very soon. Before we get to that, let’s get to a nice bit of scandal brewing away. 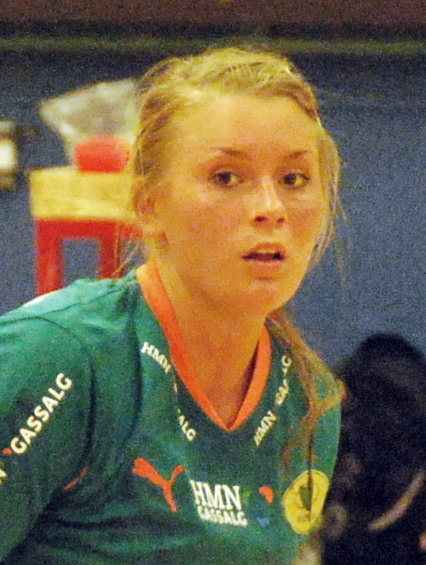 In Norway’s win over Serbia on day one the home coach, Saša Bošković twice interfered with the movement of Norwegian player Linn Sulland. You can read all about it over at Team Handball News and Handball Planet. And if you like your outrage in Norwegian you could always start here. Back to yesterday’s matches … In Group C, Spain and Croatia played out a tense game in which the Spanish always seemed to have the edge, thanks in major part to seven goals from Marta Mangue. Confusingly Spain were in white and Croatia in red. In the later game, Hungary broke the hearts of a determined Germany side, overcoming a 14:11 half time deficit to run out 24:21 winners – three unanswered goals in the final five minutes ensuring the win. Germany now need to beat Croatia to go through – and by a big margin. That seems unlikely. Iceland lost, as expected, to Romania but it was a lot closer than anticipated and a lot scrappier too. The Romanians are through though with three points, sitting behind Montenegro who dominated Russia before slipping back at the end. The Olympic silver medallists were up 20:14 at half time and noticeably relaxed in the second half. The winner of the Iceland v Russia match will progress in third place – a draw would put Russia through.